Dylan Milis, owner/operator of Milis Flatwork, Kaukauna, Wis. Anyone who knows concrete knows a large pour can be unpredictable. 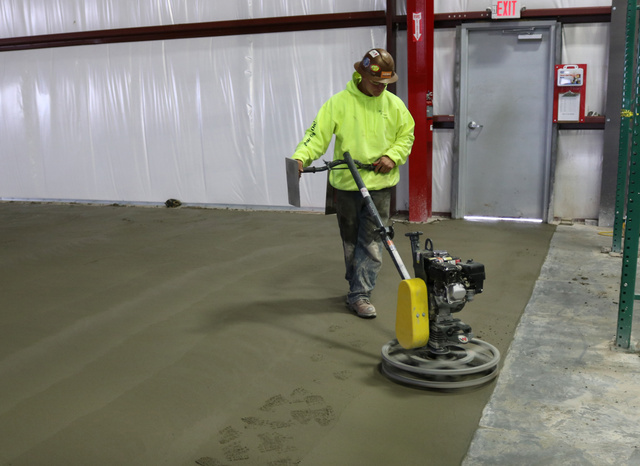 Many factors play into a smooth-running pour, and for Milis Flatwork, Kaukauna, Wis., a well-planned job, well-trained staff and reliable, high-performance equipment all contribute to a profitable day’s work. 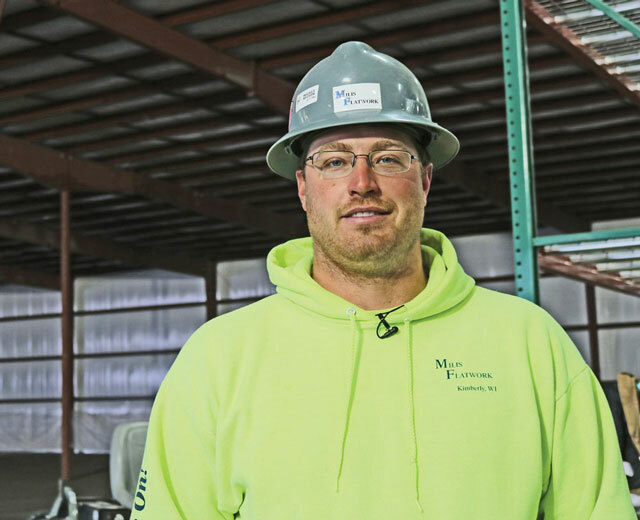 Milis Flatwork specializes in large scale concrete pours and was the concrete contractor for a recent 40,000-sq-ft warehouse extension for a plastics company in Kaukauna. 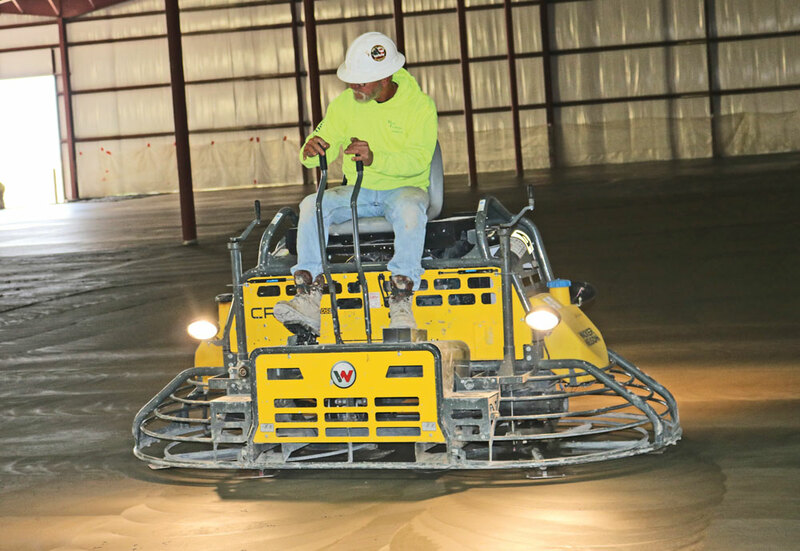 Luke Sevcik, Wacker Neuson product application/training specialist and ACI certified flatwork finisher and examiner, confirms that quality floors start with the right process. “When pouring large block placements, as in the case here, laser screeds and ride-on trowels with highly skilled operators will yield high FF numbers, even when not specified. It’s good practice to always follow best methods every time you pour to keep your skills honed and be prepared for a job that does call for high FF numbers,” Sevcik says. Achieving a quality floor also depends on the quality of the finishing equipment and Milis has found confidence in Wacker Neuson’s flatwork finishing line. Milis Flatwork purchased the trowels from their local dealer, Lincoln Contractors Supply. Training is very important to Milis and he attributes much of his success to his crew’s understanding of the entire concrete process. He has sent many of the staff through Wacker Neuson’s Industrial/Commercial Concrete Floors two-day training program. As for the 40,000-sq-ft warehouse expansion, planning, training and the right equipment provided a quality flat floor that was finished on time, just like clockwork. Julie Shuster is in charge of marketing communications for Wacker Neuson.